Could your driveway be poisoning your kids? Every year about 85 million gallons of a toxic waste that is known to promote cancer is carefully painted across about 170 square miles of American cities and suburbs, a swath as big as the city of New Orleans. As incredible as that may sound, that’s the conclusion squarely presented by a growing body of research that looks at a gooey black pitch made from a substance known as coal tar. It’s a kind of creosote, the stuff used to weatherproof telephone poles and railroad ties. It’s also one of the two main ways Americans use to “seal” asphalt parking lots and driveways. It makes the asphalt look blacker and is intended to keep the pavement from wearing away so fast. Researchers are most interested in a class of chemicals contained in asphalt sealers known as “polycyclic aromatic hydrocarbons,” or PAHs. And coal tar-based sealers are dangerous enough in the opinion of some local and state governments that they have been banned. In 2011 Washington became the first state to forbid the use of this kind of sealant, followed by Minnesota last year. Man ‘seals’ pavement with spray. Photo courtesy of USGS. If you’ve ever walked by a parking lot or driveway that’s recently been sealed with coal tar, your nose most likely told you so. The “aromatic” part of PAHs means that you can smell the chemicals emanating from the recently sealed pavement , especially when it bakes in the sun. Recent research shows that large and potentially dangerous amounts of these harmful chemicals are released into the air in the days, weeks, and even months after the pavement is sealed – more, in fact, than what is put out by all the cars in the country. Scientists also looked at what happens to the toxic coal tar sealants after they have sat on the asphalt for a few months or years and start to peel off in tiny bits. Car tires, rain, foot traffic, snowplows, and the freeze/thaw cycle all cause tiny bits of the sealant to “abrade,” as scientists say. Little bits of the black stuff flake off. Research shows some of it gets tracked off the parking lots and driveways and into people’s homes. Scientists at the U.S. Geological Survey (USGS) found that the most dangerous coal tar component , a PAH chemical called benzo[a]pyrene, was in driveway dust at two suburban single-family homes at thousands of times the level that would trigger a cleanup at a toxic-waste site. The United States has no standard for benzo[a]pyrene in house dust, but Germany does: an official guideline of 10 parts of the chemical for every 1 million parts of dust. In the USGS’s tests of apartments near parking lots sealed with coal tar, more than one-third of the apartments showed levels of the toxic chemical exceeding that standard. House dust levels were much lower in apartments located next to parking lots coated with other kinds of sealants, which are based on asphalt and contain thousands of times less PAHs. Photo courtesy of brittany fucci. Further research revealed that growing up with toxic dust from a coal tar-sealed parking lot next door could cause a child to face a 38-fold increase in lifetime cancer risk. It’s especially toxic to kids under age 6. The levels measured exceed those the EPA considers worthy of cleanup at toxic waste sites, because they are likely to cause cancer in more than 1 person out of every 1,000 people exposed, researchers reported. Other studies have shown that the runoff from the coal tar-sealed lots harms critters in freshwater streams where it ends up, affecting their development and reproduction and reducing the populations and the number of species able to live in affected streams. 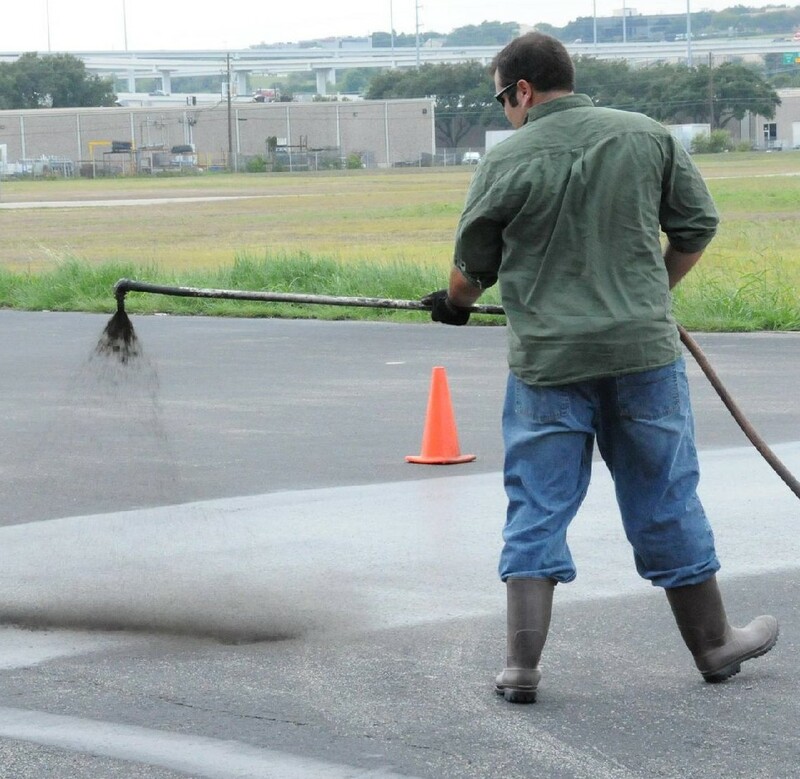 The growing body of research around asphalt sealants was pioneered by Barbara Mahler and Peter van Metre, a husband-and-wife team of researchers for the USGS in Austin, Texas. Many other researchers from more than a dozen other governments and universities also investigated. Photo courtesy of Angelina 🙂. PAHs are produced by many sources, the industry pointed out. Any organic matter that is burned – gasoline, for example – puts out PAHs. But the USGS team and its collaborators said the chemical “fingerprint” they are finding in, for example, sediments at the bottom of lakes near coal tar-sealed pavement, looks very similar to the PAH “fingerprint” in sealants made with coal tar. Although only two states have banned coal tar sealants, more than 40 local and state governments forbid application of the coal tar-based sealants, according to the blog coaltarfreeamerica.com, which tracks the bans and is crusading to have the sealants outlawed nationwide. Some of the first local governments to ban the coal tar sealants were Austin, TX, Washington, DC, and Madison, WI, and surrounding Dane County. In a recent webinar for researchers and others interested the topic, Mahler, the USGS researcher, reviewed the findings to date. Other scientists on the call suggested further work, such as looking into how the sealants are affecting creatures in salt water, and analysis of isotopes of the chemicals involved. Nice post, but polycyclic aromatic compounds are called “aromatic” not because of how smelly they are, but because “aromatic” is a very specific term in organic chemistry that describes the shape of their molecules. An aromatic compound’s molecule contains a benzene ring (and may or may not actually be smelly). The molecules of PAHs – as you could probably guess from the “polycyclic” – contain lots of benzene rings. Benzo(a)pyrene contains 5 of them joined together – there’s a nice picture of it on wikipedia. Members of the Illinois Sierra Club are hoping to back legislation in Illinois to ban coal tar sealants this term (2014). should use a different substance. This was a very good post that has me thinking more about the coal tar sealant. After reading this, you see that people know about the dangers of the sealant. Since we know this why isn’t it banned everywhere? If we know that why do we still use it? The governments obviously know this is bad for kids growing up near this. So why aren’t they banning this everywhere? This has me thinking that the government doesn’t care about the risk of using the sealant. I mean I guess they think its okay because of the low risk. But with all the cancer out there lately, why take the risk. The risk is 1 in 1000 people. That’s almost one person in each school. But we will have to see what will be done to this. Exactly! If we do know that its toxic, then why do we still use it? They should ban this toxic substance all around the world. That is what it seems like, that the government does not care. Lets see what they do! Great Post. I never knew how dangerous driveways could be. This post informed me so much about the dangers of driveways and showed how dangerous it really was when benzo pyrene got into 2 people’s houses. The benzo pyrene also causes 38x more chance of getting cancer when you grow up with it, which is amazing to imagine i never heard of this since you get so much more of a chance of getting cancer from it. I was already amazed of all the dangers, but when it continued to give more examples of why it was dangerous..it just astounded me even more of why i never heard of this. It could also affect stream waters and affect the population of nearby animals and making it nearly impossible for the ones who once lived in the stream to be able to live in it. It didn’t surprise me at all when I read in this article that more than 40 local/state governments decided to forbid application of coal tar sealants. 2 states also already banned coal tar sealants. I wish people would learn from past mistakes and just try to change this already. There are only negative cons coming out of this and absolutely no positive pros. People should be more aware of the dangers of driveways and i’m glad I got educated when I first read this. In all honesty I expected this article to be exaggerating the dangers of driveways a lot. Instead I found out that reading this article really enlightened me and wish more people would read this so they could take actions on a way to stop this from continuing. Everybody world wide should ban asphalt in general. Why should we take the risk of getting cancer and being exposed to harmful chemicals? You’re living in toxic chemicals. It’s all around us we should take a stand to make the U.S. ban it everywhere. I don’t understand why people rather not see it for what it is. Being in denial or not trying to make a change puts not only you in risk but your love ones as well. It’s time for our generation to make a change and stand up for what you believe in because it’s our world and we have to take care of it. The key to making a change is to start being aware of your surroundings so lets start of with this. I do not want to take the risk of living in harmful chemicals. Also increasing my chances and others of getting cancer. We should all share this information to our friends and love ones. Spread the word so we can ban asphalt to make a cleaner and safer environment. i would like to know were the author got his information.how sure are they that coal tar causes cancer? this article did open my eyes to the dangers of coal tar but left me to question his credibility. i am going to do further research on the topic now that i am aware of the issue. can the little amounts of tar that are tracked into the house really harm us that much? we have been around it our whole lives i have never seen tar flakes in my house.if cali were to ban coal tar what would we do? break it up and lay a new product? what would we do with all the tar? it would take a long time to take it out and replace it. i would like to know for sure exactly if this stuff is harmful. i walk out side barefoot all the time.i see kid playing in the street with no shoes on. we need to inform people if this, if this stuff is acually harmful. I never knew walking in my drive way barefoot could cause cancer. This is article is very informal. If coal tar sealant causes cancer why haven’t other places banned it? This can potentially kill thousands of people. Little kids mostly walk barefoot outside that is extremely dangerous for them. Not only does it cause cancer, but it spreads toxic chemicals into the air. We live in a toxic world it seems like. If they do ban coil tar sealant everywhere what are they gonna do with the drive way that are already there? The chemicals will still be there. They would have too cover the coil tar with some other like of sealant. Will other tars or sealants cause dangers to us? I never knew something so simple could cause such harm to us. We walk on our drive ways everyday, sometimes even barefooted, we should inform others about this too. Ok this stuff is really bad. The government should do something about it: it’s like asbestos. This stuff will stay in the air and cause lung or throat cancer. The government emitted a list of regulations for asbestos such as eliminating it from public buildings and advising against its use in households (http://www2.epa.gov/asbestos/asbestos-laws-and-regulations) and they should do the same to prevent PAHs from spreading and try to remove it from most public sites. Take example from Germany, US! And by the way Benzo a pyrene is found in car exhaust fumes, cigarettes and well-done cooked meat so generally in burned organic substances. Some studies found that some substances found in beer may reduce the effects of PAHs (http://www.economist.com/news/science-and-technology/21600085-reduce-health-risk-barbecuing-meat-just-add-beer-marriage-made) so why not doing some research and try to make PAHs safer for everybody? Everybody world wide should ban coal tar from overcoating asphalt. Knowing that people, and especially kids, are at risk of getting cancer is terrifying. Workers or people who are interactive with this situation should stop it immediatley. The enviornment is at risk too, all the toxins evaporating into the air is a disaterous thing. Coal tar is banned in two states, its should be banned in plenty more. People world wide should be more aware about this because it is a big deal. People should be aware that they are living in a toxic environment so we could take action. Instead of a toxic substance, the government should change overcoating asphalt with coal tar to something cleaner. I wonder what people might do to change this problem. what if they do just cover the coal tar with something else, what would happen to the toxins under that ? It is just scary knowing that a lot of people are living in a toxic environment and are at risk of cancer. The States are putting coal tar on the streets so that they last longer, look blacker thought out the years. Some States are forbidding the use of asphalt because they know that in the long run it will negatively affect them. Other state are trying to ban the coal tar because it is harmful. Why don’t they ban it in every state if it is really that harmful. I think it is because if they ban it then they will have to spend a lot of money to clean streets and keep them looking good. The smell in the asphalt is really strong because of all the bad chemicals that is used to make it. The chemicals are so harmful that they affect us days even months after it has been put out. After months or years the coal tar starts to peel to little black flakes. Those little black particles of the asphalt eventually end up in home. The chemical cause cancer that is what going to your homes. Although only two states have banned coal tar sealant. Since it causes cancer and is harmful because of the chemicals some states and cities are not allowing the use of coal tar. I really like your statements and the facts you’ve included. It is true that asphalt are really harmful and has a lot of chemicals. What I honestly think is that pavements are really poisoning and harmful for children. Every time government wants to redo streets or such things like that, the chemicals and the smells of it really affects children and almost everyone around that designated area. For example, children might have allergies and other sickness, so pavement and PAHs are not beneficial at all, it’s very bad to inhale. Children can have bad reactions to the pavement just by smelling it in, some will not be able to breath. As you can see, shoes and slippers that have been worn on the streets eventually gets not just worn out but it also has chemicals stuck onto it. That’s how you can see streets and new pavements are importantly harmful. Plus, PAHs which is Polycyclic Aromatic Hydrocarbons, and Aromatic is a compound molecule and meaning to have a pleasant smell. But in this case, Polycyclic neglect the meaning of it. Pavements are considered harmful and bad to breath in due the chemicals in contained. Lastly, I hope government would think of another way to seal streets without leaving the environment smelly and not beneficial for the citizen, especially children whom are really sensitive. I found this article very interesting because i do see the danger in the coal tar and how it releases dangerous chemicals. It was interesting to hear that 1 in every 1000 kid can get cancer when exposed to the chemical known as polycyclic aromatic hydrocarbons or PAHs, found in coal tar. I do believe that most states will banned coal tar from their states to save their kids from inhaling this toxic fume. The reason why people use the sealant because its know to extend the life in asphalt longer. Another thing that caught my eye was that 85 billion gallons of toxic waste know to promote cancer is being painted all across america. Why aren’t people aware that coal tar can promote cancer? I think people are aware because people might not care or find it not important, or people just don’t know whats in coal tar in general. Its quite amazing to see how many dangerous chemicals are near the comfort of our homes. Not to mention just how strong these chemicals are that it can give a 38-fold chance to cause a child to get cancer. I wonder just how dangerous the foam in the parks to keep children from getting hurt, if it really does more harm then good. I wouldn’t want my children to play on something without knowing what everything is actually made of now. Just seeing what these companies seem to hide from us or maybe we are being to ignorant. Maybe it’s our fault for letting them use these chemicals because its much easier to use and easier to produce and they just care about the money they earn. Now I know why some mothers are very protective of their children when they go outside because they actually search things up to see if the stuff is safe for the kid. We should follow these foot steps, to make sure there are more strict rules on what the industries use in the products we interact every day or even consume. Who knows what else they are trying to hide from us. They might even be putting a combination of chemicals that can possibly more dangerous then what we know. I mean another example of a company just caring about the profit is gasoline companies. They would rather earn as much money as possible then caring how problematic this global warming is getting. Sadly to say the glacier are already being melted to the point that its starting to float causing it to melt at a much faster rate then anticipated. I agree, but disagree with this article. I agree to the fact that what they are using to pave streets and make driveways is very harmful to us and our environment, but lets think about this realistically. Ask your self this, why do we use coal tar to pave our streets? In this article it states the reason why we pave our streets and its to seal our road from wearing away. If we didn’t “seal” our roads with coal tar, yea we would have a cleaner environment, but we would be constantly be fixing it for safe reason, and to fix things it would cost money, and where does government get the money to do this, they get it from us. This means government can increase taxes. If scientist can develop a safe material to use to pave our roads and have a clean environment at the same time that would be amazing, but so far reading through this article I have yet to find any possible substitute that can replace coal tar. Like I said in the beginning I agree with this article coal tar is bad, but if your gonna disregard something find a substitute or show us how the cost outweighs the benefits. MR.MAESTAES REPRESENT! Please do not take blog seriously it is an assignment that we’re doing. In my opinion, This article is very interesting, because it is very informative. It helps raise awareness of this issue. More people should be aware of this issue especially if they children under the age of 6, because their children are at a higher risk of getting cancer. People should also be aware of the chemical group known as PAHs, because they are the ones that are known for causing cancer. PAHs are banned in 3 different states. They are put into driveways as sealers, but because they are unaware of the risks. People also take PAHs with them, because when they walk on driveways they are unaware of PAHS.The benzo pyrene also causes 38x more chance of getting cancer when you grow up with it, which is amazing to imagine i never heard of this since you get so much more of a chance of getting cancer from it. 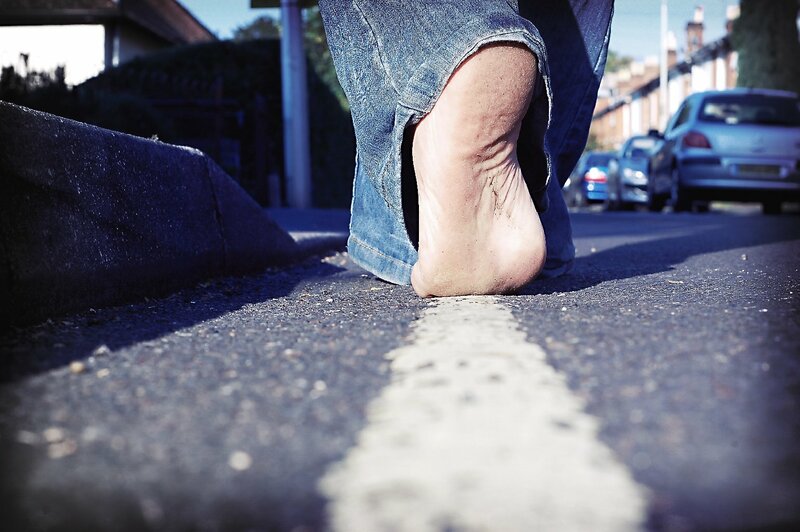 Peoeple should also know the risk of walking barefoot in their own driveways. It also hurts to inhale the smell from PAHs. Children can have bad reactions to the pavement just by smelling it in, some will not be able to breath. The effects of this chemical should be well-known and banned everywhere. After reading this post about polyclyclic aromatic hydrocarbons, I feel very uneasy and disgusted that this is around us everyday. Each time we step outside of our homes we have taken another step closer to having cancer. This is crazy that we are not notified or aware that this is around us. We do many outdoor activities, and with them using these kinds of chemicals and substances on curbs and pavements is not an advantage for our population and health. If pavement does not look perfect, you don’t have to perfect it with chemicals that is harmful tour environments. It is insane how our governments still approves of using these “pavement seals” because they are wasting time and money to perfect something with toxic waste that can harm the people living in these environments. I think they should invest in something that is not harmful and that is long-lasting rather than “sugar coating” the pavements. California and other major states should really work towards banning coal tar for sealing pavements. We are investing money into making the streets look darker and cleaner but is that necessary? We already have all these other gases and pollutions around us, we don’t need any more harmful gases. Overall, I think we should completely get rid of this, no matter how “useful” it is. I somewhat believe this, since more people are getting sick as they grow old. Being an adult requires you to go to work and etc. Adults are more exposed to PAH since they go out a lot. It’s obvious that as you grow older your immune system slows down, but maybe the exposure to PAH found in the roads, causes the risk to happen earlier than expected. But if we ban it, what would be a good replacement? what should we do with the roads that already has it? are we supposed to take down every road that has it instead of using the money to treat more patients with terminal illness? I’m intrigued by the topic. But i need more proof, more evidences of such belief. Even though this might be true or false, the government should not take the risk of harming a citizen, especially when the probable effect is cancer and all sorts of terminal diseases. In my opinion i believe this article is very interesting and i believe that many people are not aware of this issue. It is something that most people are not aware of , people just see it as just paint and nothing else. Which is what a common person would think of it , just paint. But its more then “just paint” its paint with chemicals that are banned in three states , PAHs , PAHs it is a chemical that when inhaled could cause cancer. Which most people are not aware of. Also what really surprises is that only three states , when it is very toxic. Every year there 85 million gallons of a toxic waste , which i think the government should ban this stuff . This stuff stays in the air we breathe and could cause throat cancer. polycyclic aromatic hydrocarbons (PAH) shouldn’t be used. They should ban coal tar from overcoating asphalt. I learned that when it gets inhaled it isn’t good for your lungs and it can also cause tumors. What I don’t get is that why people use harmful chemicals that don’t help the environment. It is made up of dangerous amounts of harmful chemicals that are released into the air in the days, weeks, and even months after the pavement is sealed. I felt that people should have used a different and safer chemical for the young children and families. It is also dangerous for the people that have asthma. The smell in the asphalt is really strong because of all the bad chemicals that is used to make it. This blog should be taken seriously because it is important to know the bad chemicals used. People should never walk out barefoot. I believe that PAHs should be banned in all the states. There are probably better alternatives to use instead of PAHs. Especially since it causes cancer to more than 1 in a thousand people. It’s also more dangerous to kids, as it’s more toxic to people under 6 years old. This could pose many problems to kids that play on the streets almost everyday. Kids can be exposed to these chemicals at a very early age. Since almost all kids at school play on the blacktop, they are all exposed to these dangerous chemicals. Kids are exposed to PAHs for extended periods of time. The kids could possibly even contaminate their homes with these chemicals, and spread the PAHs. Other people in their homes can be exposed to the chemicals. I am sure that these factors increase the chances of a person getting cancer. Other alternatives should be used instead of PAHs. Pavement is very harmful. Especially when you are barefooted it isn’t healthy. After reading this article I’ve learned a lot and it really opened my eyes to the the harmfulness of this toxin. I think people should realize the harm of pavement and maybe especially if they have children. 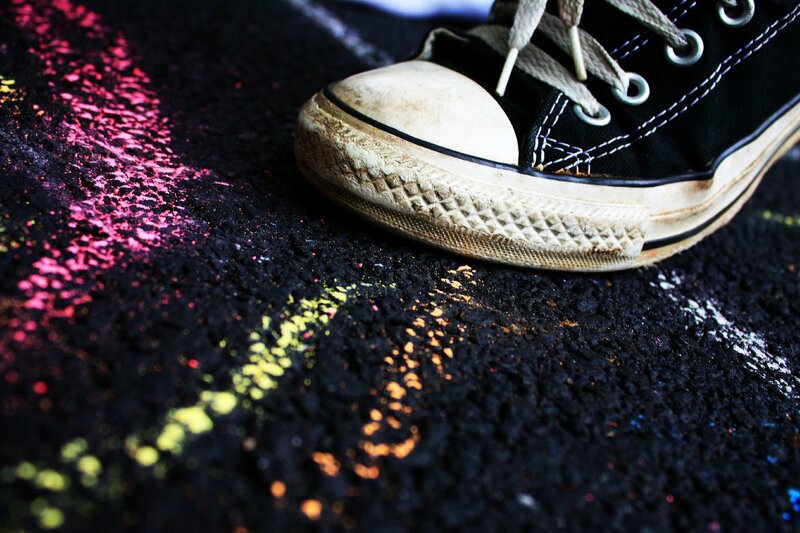 I know there are a lot of kids who like to write on pavement with chalk and stuff, but while they’re doing that having fun they are actually inhaling toxic fumes. It is especially toxin to those children whom are under the age of 6. About 85 million gallons of toxin waste is known to cause cancer each year. So imagine the toxins grown ups are smelling that promotes cancer your children are being exposed to. Coal tar is what “seals” the pavement and it affects the nose. Exposing this kind of toxin to the people around you will most definitely put them to harm. I personally don’t think people should be using PAH which is the main cause for all this fumes. Will there ever be a safe mixture of pavement that won’t put peoples lives at risk? Only the scientist who created this toxin version can answer this for us. In my opinion having asphalt oil driveway needs to banned or improved to become safe. If the gov. knew the statistic about the cancer rates, why didn’t they do something about it sooner? In the article when it states that the aroma of a recently painted pavement can still smell after weeks and even months especially in the sun can also be increasing air pollution? The Benzo(a)pyrene was also causing cancer in the 18th century to chimney sweeps. This product is damaging creatures in nearby lakes for the reason the the driveway are wearing away. The pieces tearing away on tires and people shoes are being transferred to different places that can be damaging the surroundings around them. Children play on the driveway who are exposed more to the driveway. They are in more risk to get cancer. Or by just passing by and inhaling the fumes. Its good that the gov. are trying to find a solution to fix this. Will it be a long process to fix the driveways? Or will the driveways be redone in order to get rid of the toxins. After reading this article, I think people shouldn’t use the polycyclic aromatic hydrocarbons because they do not burn easily. They stay in the environments for a long time. When kids play in the street, PAH’s can enter their body when they inhale and can also occur in their skin. Once it gets inside their body it can spread and target fat tissue and kidney and liver. If the person has asthma it can become worse. But it can leave your body through urine and feces. You can be exposed to PAHs in the environment, in your home, and in the workplace. Because PAHs exist naturally in the environment and are man-made, you can be exposed in a number of ways. Fumes from vehicle exhaust, coal, coal tar, asphalt, wildfires, agricultural burning and hazardous waste sites are all sources of exposure. A number of PAHs have caused tumors in laboratory animals that were exposed to PAHs through their food, from breathing contaminated air, and when it was applied to their skin. Construction workers should really think about the stuff they use on pavements because it can harm other people. We shouldn’t use polycyclic aromatic hydrocarbons because we are already exposed to harmful chemicals. The government should ban all harmful chemicals. Something simple as a driveway shouldn’t have horrible chemicals that give us cancer. When young children are outside running around they are breathing in the toxins. Also the chemicals are seeped in through their skin. The isotopes in saltwater are affecting sea life and the sea animals. Coal tar sealants can cause a 38 fold increase risk for cancer. These types of sealants are used to seal driveways and parking lots. The worst part is you can actually smell the chemicals from the sealant. The government shouldn’t allow the use of these chemicals. The more use of these chemicals, the more toxic our environment becomes. In my opinion we already use other harmful chemicals.Why should we stop using polycyclic hydrocarbons.Its and overall good article i never knew some of this facts.I never knew you could get cancer off being barefoot and walking. And why are only two states banning the use of coal tar sealants. Shouldn’t they be more than just two states. And the isotopes in saltwater is affecting sea creatures. It’s affecting the development, reproduction of these creatures. I also see that the author states all these facts but doesn’t state his opinion. And its weird how the tracks end up in peoples houses because from shoes. I think people should stop letting shoes in there house or else they would be just putting more. Thats what i think after reading this article. After reading this article, I became really worried. After learning about PAH, I began to have flashbacks of elementary school. My friends and I always played on the black top. 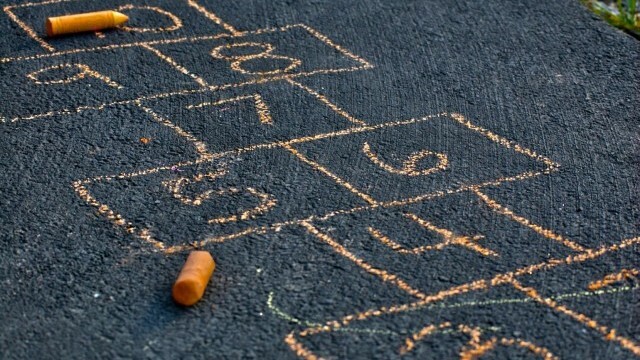 Almost every one of our recess activities were played on the blacktop. It would range from kickball to dodgeball to basketball. To make matters worse, we weren’t very hygienic. After playing basketball, we wouldn’t wash our hands. We would then go off to lunch and basically eat the chemicals. We would dig our filthy hands in our food. But what really troubles me is thinking that I brought these chemicals in to my house. Now it wasn’t only infecting my friends and I, but our families too. If I had only known about this chemical earlier. Good to know information, wasn’t aware of the dangers presented. This is quite alarming. I was thinking of having my driveway sealed by my contractor (http://estatespaving.com) because as what I know, it makes the asphalt last longer. I may have to talk to them about an alternative. Thanks for this info. A group of related companies under the road builder names of CRH and Oldcastle has an extensive track record of criminal convictions, civil lawsuits and myriad of pollution related fines in this area of blacktop / quarry operations. CRH has had it’s growing share of pollution issues when it used quarries like Tilcon in the tri state area to place asphalt construction related machinery on mining lands and to lobby to loosen already loose mining laws in populated areas. PAH as an issue was not evident in the northeast quarries where dusts and muck runoffs might take center stage in polluting the environment. The NYSDEC and its top people have a database that includes official reports from the public and Spedes reports that help detail the extensive chemical pollutants from CRH Tilcon that might flow into waterways and be on road surfaces especially near the DEIS flood plain at GDC Harbors of Haverstraw and surrounding areas of Hudson River and Lake Deforest of Clarkstown NY. Robert McClure is executive director of InvestigateWest, a nonprofit newsroom in Seattle specializing in the environment, public health and government accountability for the Pacific Northwest and British Columbia. A veteran newspaper reporter with a quarter of a century on the environment beat, he is a winner of the John B. Oakes Award for Distinguished Environmental Journalism and serves on the board of the Society of Environmental Journalists. Robert was named in 2013 as one of Seattle Magazine’s “most influential” people in Seattle.